In this conceptual analysis, we examine the role of rage – deﬁned as an intense form of anger and particularly collective rage in processes of collective institutional disruption and defence. We argue that rage is generally the result of perceived and unresolved transgressions and injustices against either the self or others, and that rage becomes collective when widely communicated through the collective and when an identiﬁable source is generally perceived. We further discuss the role of power disparities between collectives, and the various forms that the expression of collective rage may take. 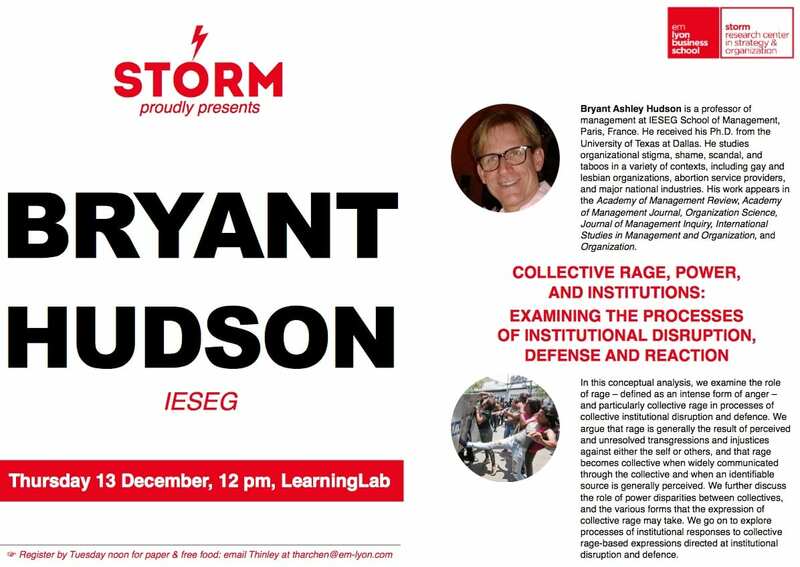 We go on to explore processes of institutional responses to collective rage-based expressions directed at institutional disruption and defense. Interview by emlyon Ph.D. student Su-Lyn Cheng and STORM post-doc Thinley Tharchen. Editing by STORM post-doc Thinley Tharchen.